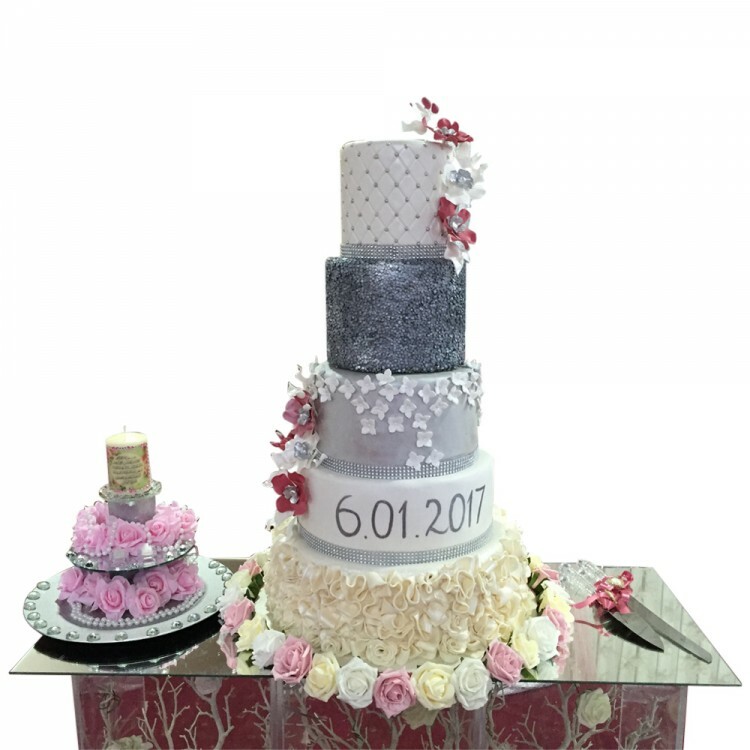 5 Tier Silver Selection Wedding Cake Decorated with Sugar Paste and Buttercream Flowers and Decoration. Finished with Silver Dragees. 3 Tier Deep Blue Space Wedding Cake Finished in Sugar Paste and Decorated with Silver Dragees and In..